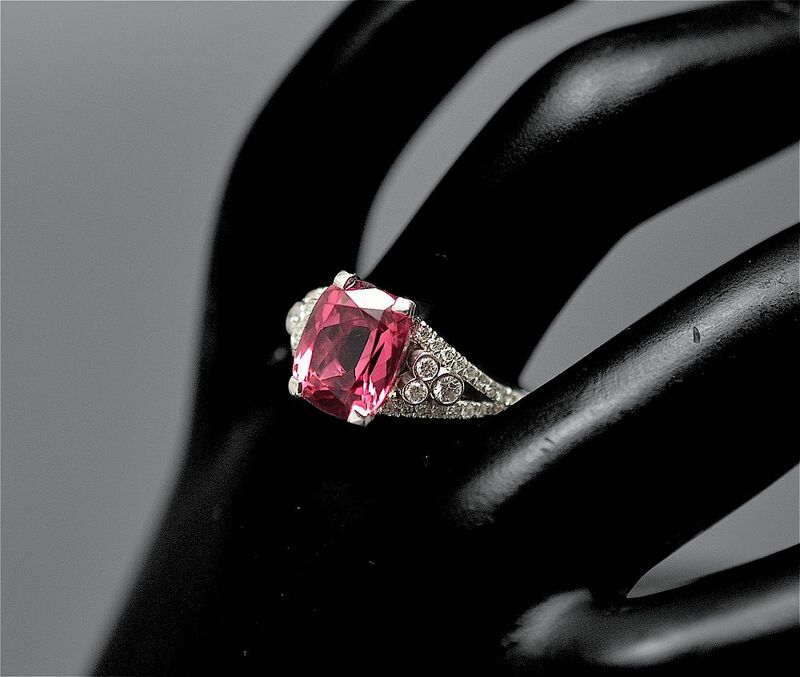 This is a really lovely ring! 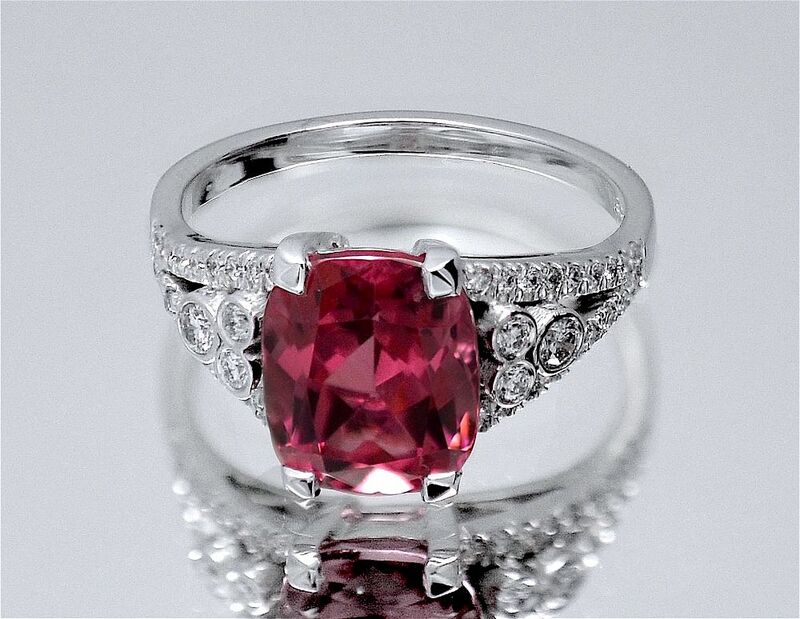 In the centre of the 18ct white gold ring is a pink tourmaline set in a 4 claw mount. In between each diamond set split shoulder are 3 tube set round diamonds. The tapering 18ct white gold shank is hallmarked by the London Assay Office for 18ct gold.